I'm back, all charged up and read to GO! Almost. In fact, I knew someone who dreaded vacays b/c of all the work that needed to be done upon returning. As bloggy friend Elena J said in one of her posts, it's called wearing too many hats. For too long. And the hats were beginning to weigh me down. Too many hats weighing you down? Yea! So glad you're back! That picture is so appropriate though! heh! We all need to take blogging breaks. I've been taking a partial for about a month now. Still doing Ten-word Tuesdays and checking some blogs, but I've cut back a lot! I think everyone understands that feeling at times. I know just how you feel. 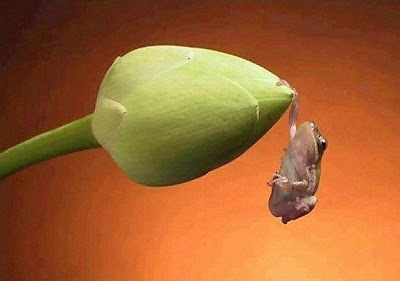 I will be away next week and I am just hanging on in there until then! So glad you're back! You've truly been missed :) I know the feeling of wearing too many hats. But sometimes, it's ok to hit the PAUSE button. Welcome back! You were missed! Too many hats? Totally! I hope you had a wonderful trip! I am planning a break for myself too. Admittedly, I have purged most of my extra hats, but there is always something. Yeah how come we have to wear tons of hats and the men in our lives wear one...to cover the bald spot or bad hair. Whichever applies. Welcome back! I'm feeling the "too many hats" syndrome right about now too. And it's only going to get busier. I better figure out that whole balance thing before it gets out of control around here! Some days it's too many blogs I follow but I love them all deeply. Some days you just have to push the button "Mark All As Read" especially after a vacation. Welcome back...hope that you had a great break. Welcome home! We've missed you! As for our hats...I'm not even sure which one I'm supposed to have on anymore. I know how you feel, sometimes it's hard to keep all the balls in the air. Oh I hear you, I've been feeling that I've been pulling myself in so many different directions lately! Good for you to take a break! I'm glad you feel refreshed. Sometimes we just need a change of scenery. I'm glad to see you back! We all need a break from our virtual realities once in a while! Hope you're well rested and relaxed! !